TRUE FEAR: Forsaken Souls by Dimmie Azu, the first of a trilogy in Point & Click Horror Adventure has past one million downloads on Google Play Store, averaging 96% positive reviews from 64K players. The game takes the best of the psychological thriller, blending in fun and intuitive gameplay mechanics. The cinematics, puzzles and hidden object phases have been carefully developed and are steeped in a unique and oppressive atmosphere. A compelling storyline with action-packed gameplay! Follow the clues, find evidence and solve the mysteries to uncover more about your sister's past… and your own! Includes the bonuses from the Collector's version of True Fear: Forsaken Soul: an additional level, wallpapers and extra cut-scenes. 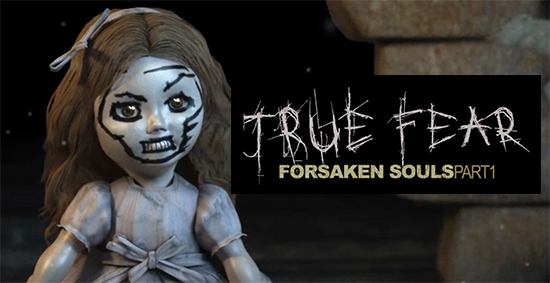 True Fear: Forsaken Souls Part I is the first game of the trilogy. TRUE FEAR: Forsaken Souls Part 1 is now available worldwide on Nintendo Switch, and already on PlayStation 4 and Android devices through the Google Play Store, & for PC on Steam.